Specialized in the control, operation and maintenance of renewable energy facilities since 2011 VALEMO today includes forty employees in 6 bases near to the facilities, providing its customers daily support. Since its inception, VALEMO has been involved in the wind energy sector, and now works with all the global turbine manufacturers. 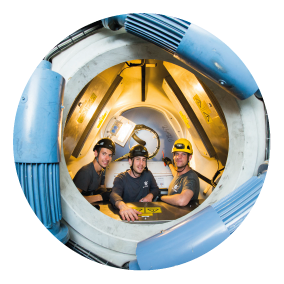 The company has also adapted its skills to become today a multi-RE operator with references in photovoltaic, hydraulic and offshore/marine energy. VALEMO has dedicated R&D activities which develop special software tools. 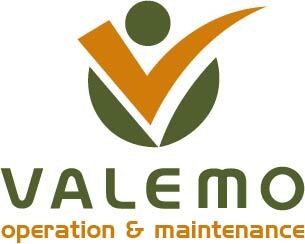 VALEMO has made customer satisfaction one of its key values. The company has been certified to ISO 9001 and 14001 in this regard since 2014. A dedicated monitoring centre for the various production equipment. A technical contact available 7/7 and 24/24 for emergencies. The use of SCEV software developed specifically for the needs of the service (automatic alerts in case of production anomalies, etc.). Deploying remote management controllers (Supervision of states and remote operation of High Voltage cells). Deployment of surveillance cameras (access control, checking for presence/absence of people in controlled area, etc.). Development of software dedicated to wind forecasts for up to 5 days ahead via GPS location of projects and the nacelle height. Localized monitoring of critical weather events via reception of alarms (snow, lightning, frost, etc.). Scalable service dedicated to the management of the safety of persons and property. Use and participation in the development of S2EV – an internally-developed, multi- wind-turbine manufacturer operations monitoring software. Provision of a web platform for our customers allowing them real-time monitoring of their assets. Monitoring of the 8 main manufacturers present on French territory. A team of 9 operating specialists with a variety of skills at your service. A workload distribution focusing on expertise and quality. 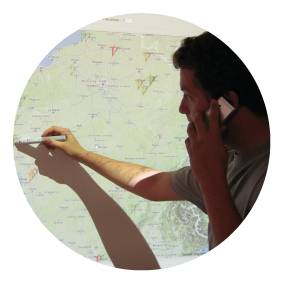 Support for outreach teams distributed in France for improved responsiveness on your sites. The synergy of a group to answer all your operating problems. Integral maintenance of wind and photovoltaic parks (curative, preventive, predictive, retrofit). Nantes (44), Blangy-sur-Bresle (76), Caen (14), Reims (51), Revel (31) and Bègles (33). Standby personnel to intervene in parks 7/7, 365/365. Recognized skills and versatility (Acciona / Alstom / Senvion).